The PHCA Monument Committee is sponsoring our 2nd bird house decorating contest. The last one was in 2012 and it is time to add new bird houses to the Monument tree. ALL BIRD HOUSES WILL BE KEPT BY THE PHCA AND HUNG ON THE TREE. We invite you to participate in this fun event. The bird house is to be no larger than 12″ x 12″ with a hook attached for hanging it on the tree. The “unfinished” bird house can be either built or bought. You decorate the bird house. A label with your name, address, phone number and email address is to be affixed to the bottom of the birdhouse, which will later be removed. All bird houses must be delivered to the PHCA office by April 15, 2016. 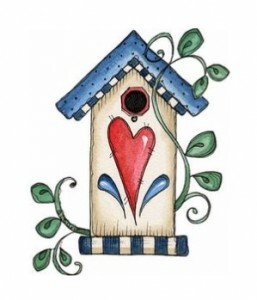 Someone will be in the PHCA office on April 13 from 6:00-7:00 p.m., and on April 15 from 6:00-7:00 p.m. to accept your birdhouse(s) delivery. The prize for first place is a Polish Hill t-shirt; and the prize for second place is a membership to the PHCA. Bird houses will be judged by the PHCA Monument Committee and the winners will be announced at the Membership meeting on May 3rd and on Blogski and Facebook. Newly planted trees need extra care in their early years to ensure their health and longevity. 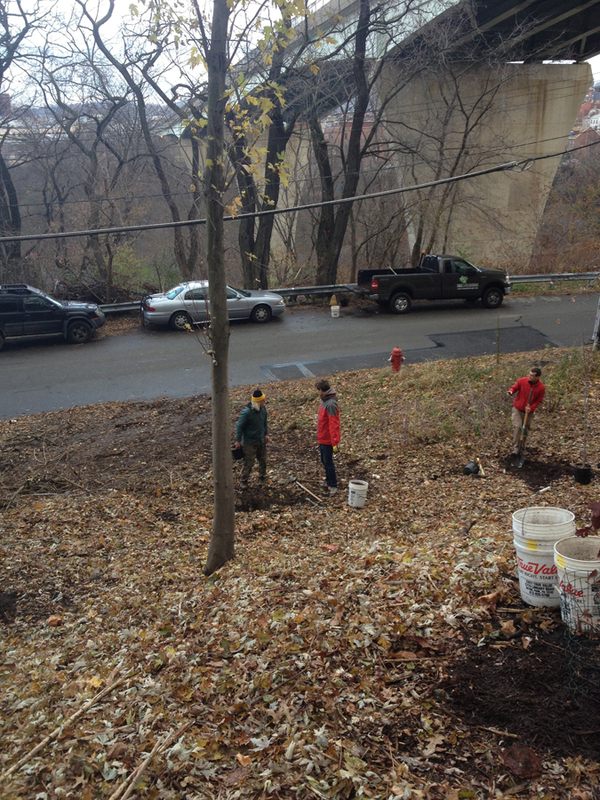 On Saturday, May 25 from 10:00 a.m. – 12:00 p.m., join the Polish Hill Tree Tenders and Tree Pittsburgh as they care for newly planted trees in Polish Hill. Tasks will include weeding, mulching, adjusting stakes, getting to know neighbors and fellow Tree Tenders, and ensuring the health of our next generation of urban trees! tools, equipment and safety gear. You wouldn’t think that many people could volunteer on a weekday, but despite morning snow flurries and cold weather on Tuesday, a crew of determined volunteers came out to help plant trees on the Melwood Avenue green space. 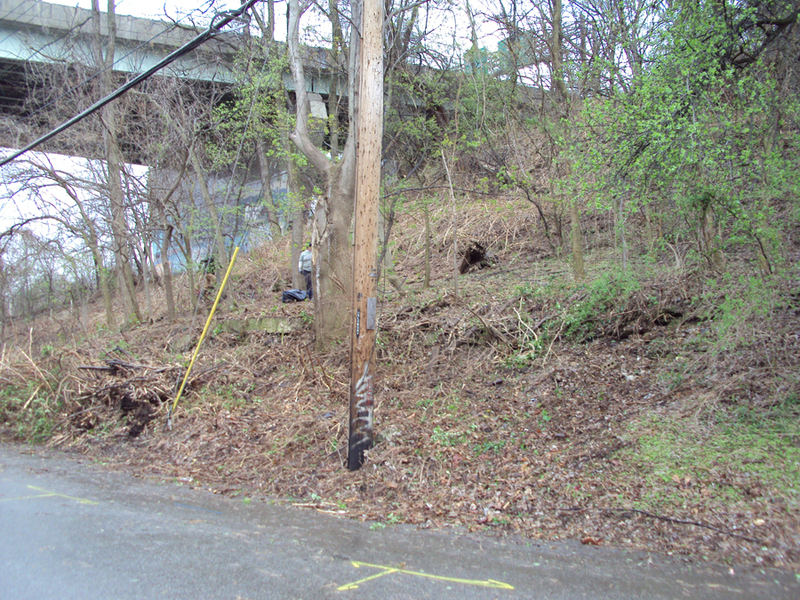 Aided by Tree Pittsburgh, the PHCA Green Team put in 25 trees on the site, each marked with stakes. Many thanks to all the neighborhood volunteers who came out. 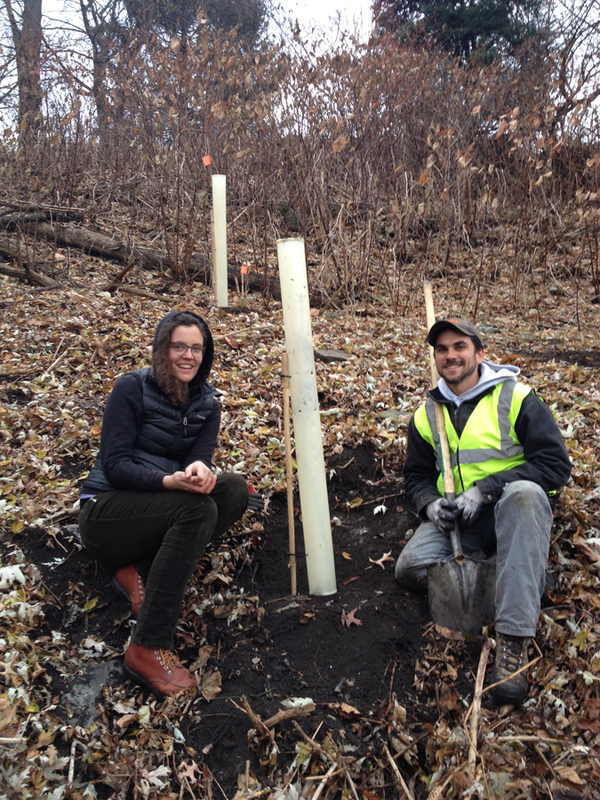 And special thanks to Jake from Tree Pittsburgh and Valerie from the PHCA’s Green Team, pictured below, who organized the tree planting. Feeling a bit of post-holiday cabin fever, perhaps in the mood for a bit of hard work in the cold? Available on Tuesday? 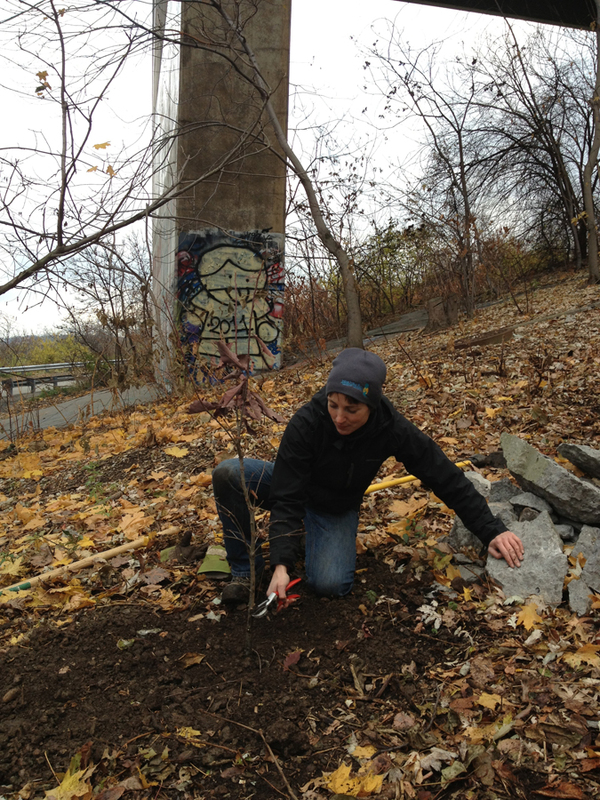 If so, please come out and join Tree Pittsburgh and the PHCA Green Team on Tuesday, November 27th to plant a variety of new trees in a former Japanese knotweed patch along one of Polish Hill’s many green hillsides. This site on the eastern edge of Polish Hill, formerly known as the Tot Lot, is in the process of being reclaimed as a community green space. The replanting is part of a multi-year project which began in 2010. Meeting spot will be on Melwood Avenue below the Bloomfield Bridge. For more information, contact jake@treepittsburgh.org or PHCA Green Team leader Valerie Testa. For the third year, Tree Pittsburgh will engage city residents in its annual tree care campaign, Mulch Madness. 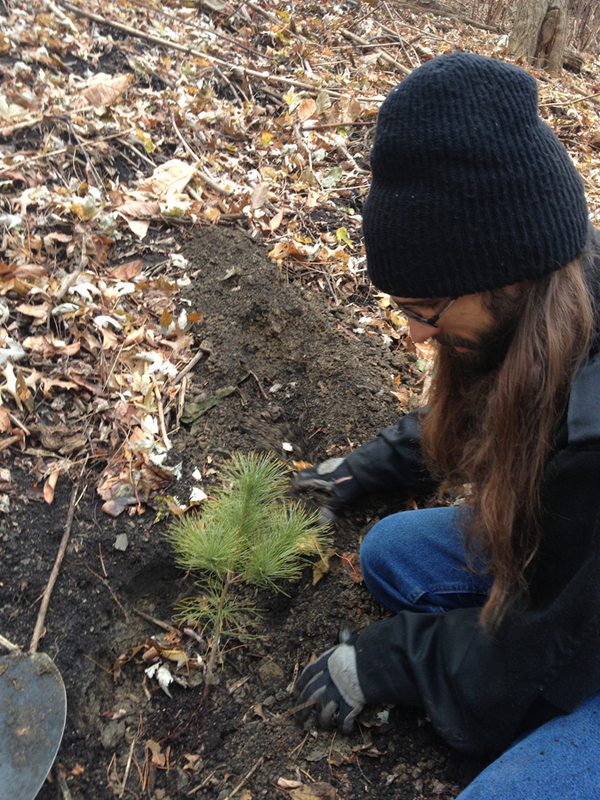 Tree Pittsburgh is a 501c3 nonprofit whose mission is to protect and restore the urban forest through community tree planting, maintenance, education and advocacy. Mulch Madness prepares city trees for winter by removing weeds from tree pits and adding an insulating layer of mulch to the trees’ root system. Tree Pittsburgh provides mulch, gloves, safety vests, instruction, tools, breakfast, and lunch for each event. Mulch Madness is part of National NeighborWoods Month, and is supported in part by a grant from Alliance for Community Trees. Additionally, Mulch Madness is supported by Starbucks, Bandy Woodworks, the City of Pittsburgh, the Pittsburgh Shade Tree Commission, and community members dedicating their time and resources to assist in the organization’s largest tree care campaign all year. 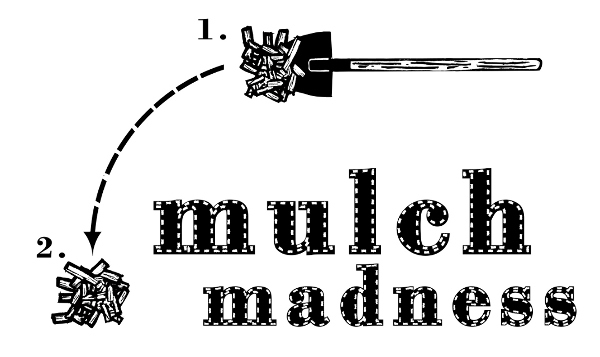 Registration is required for Mulch Madness events and space is limited. Visit www.treepittsburgh.org/mulchmadness2012 to register or call 412-362-6360 for more information. Are there any young trees around where you live? Help them survive the heat — water them! Tree Pittsburgh sent out a reminder that we’d like to share with everyone who received a street tree in the last few years, or who has planted their own young trees. The very hot and dry weather is continuing with little chance of rain in the next ten days. Trees throughout the city are wilting and dropping leaves. Trees planted in the past few years need to be watered 30 to 40 gallons per week (or about 1 inch of rainfall). If you can, please water any young trees that are nearby–not just the ones near your home! So many trees are stressed out from the lack of rain. Water slowly and deeply. Do not turn the hose on full blast — the water will just run off, and be wasted. You can use a 5 gallon bucket with holes in the bottom to slowly water, turn your hose on a slow stream and place it in the tree pit, or use a gator bag (above). If you want to buy a gator bag like the one shown here, Tree Pittsburgh has a few available for $25. You can pick them up at their office starting on Monday, between 9am and 5pm. Gator bags hold about 15 gallons of water and zip around the base of a tree. When full, the water seeps out slowly into the ground. In the next week, Tree Pittsburgh has four upcoming events, any one of which deserves your support. First, there’s their annual spring Happy Hour Beirgarten at Penn Brewery on Thursday May 10th from 6pm-9pm. This is an opportunity for Tree Pittsburgh to recognize all of their wonderful volunteers, Tree Tenders, members, supporters, staff, and tree enthusiasts. 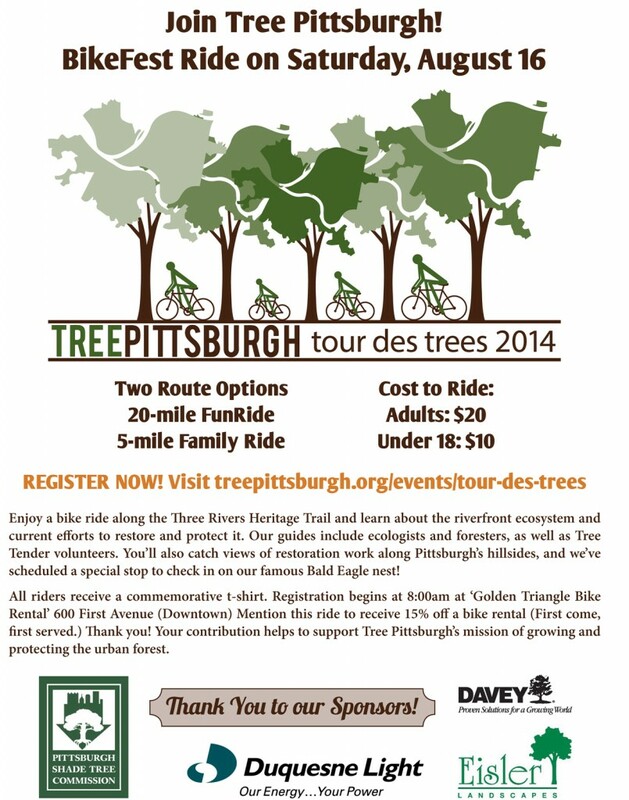 Light fare will be provided by Tree Pittsburgh. Beverages and additional food will be available for purchase. Penn Brewery is located at 800 Vinial Street in Troy Hill. Then, on Saturday May 12th from 8am-4pm, there’s a Tree Climbing Competition in Arsenal Park on 40th Street in Lawrenceville. Watch as professional Tree Climbers take to the limbs to compete for a chance at the State and National titles. Also at this event, kids can learn and test their skills on the Kids’ Climb (adults are welcome too). 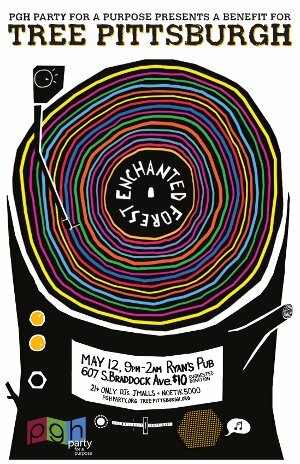 Also on Saturday May 12, from 9pm-2am, there’s Enchanted Forest: A Party to Benefit Tree Pittsburgh at Ryan’s Pub, 607 S. Braddock Ave, Regent Square. Tickets can be purchased in advance here. The tree-themed merriment includes dancing to DJ J Malls and Noetik Five Thousand; tree accessory making, a photo booth, and beer and food specials. Suggested Donation: $10. Finally, on Tuesday May 15th from 6:30-8:30, is Bees, Trees & Honeys, at the Stephen Foster Community Center, 286 Main Street in Lawrenceville. Learn about the significance of each tree species in terms of local crop production and the beekeeping season. Taste local honey that features the distinctive flavors of local trees’ blossoms. This class is presented by Tree Pittsburgh’s Certified Arborists and Christina Joy Neumann, who worked as a commercial beekeep at Volcano Island Honey Company and also has been actively keeping bees for 7 years. Suggested Donation $5-10, and Pre-registration appreciated here. Thinking about requesting a street tree? The deadline to apply is March 23. 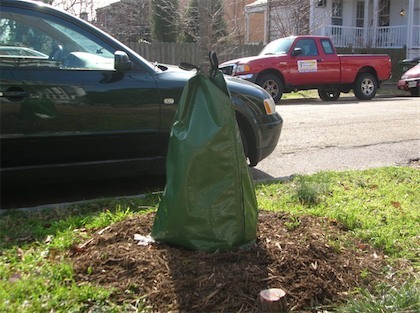 Planting trees in a neighborhood increases property values; brings beauty and character to neighborhoods; saves energy and cuts heating and air-conditioning costs; shades and cools neighborhoods on hot summer days; cleans pollutants out of the air and water; reduces storm water runoff; buffers and reduces noise; and provides habitat for birds and wildlife. 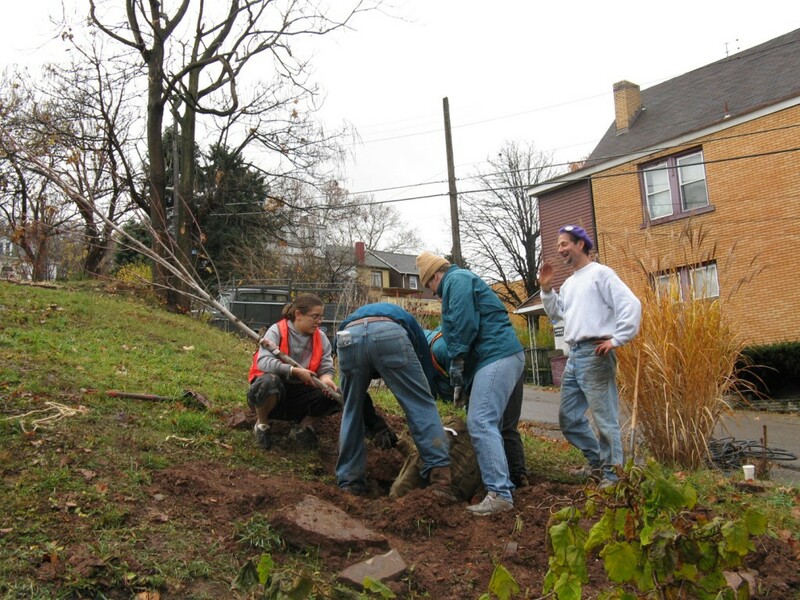 Each year, Tree Pittsburgh and the Western PA Conservancy team up to plant street trees in neighborhoods all over Pittsburgh. 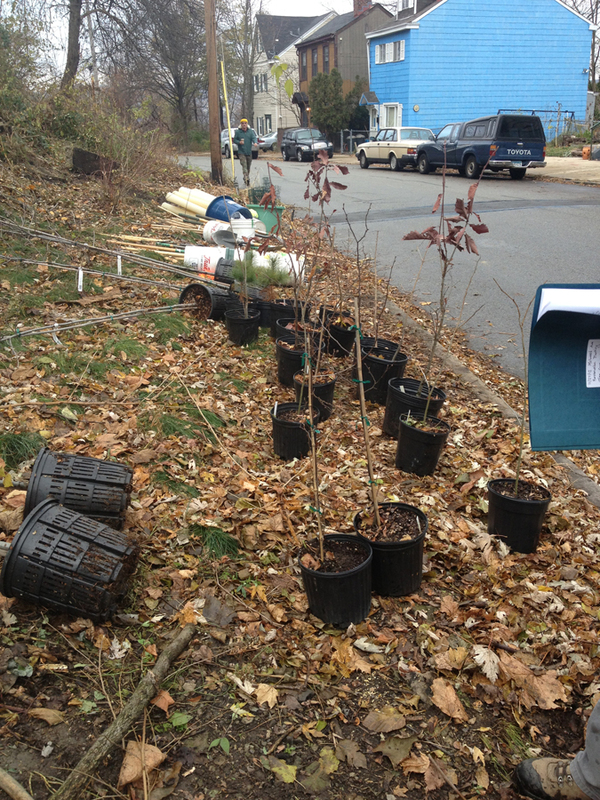 Polish Hill has received dozens of trees in the last few years, many requested by property owners. Read more at the TreeVitalize Pittsburgh Planting program here. You can only apply for a planting on property that you own, and trees are available only for public areas, such as sidewalks, not private yards. There are also some factors that limit where a tree can go; a very narrow sidewalk or the presence of utilities under the sidewalk, may make a site unsuitable. But the smaller varieties of tree that Tree Pittsburgh is using means that it’s possible to plant in many spots where power lines or other factors might have been an issue. If you think your street view would benefit from some more trees, consider filling out an application to request a tree planting. After a site visit to determine if there’s space and appropriate conditions, Tree Pittsburgh will let you know if you can get a tree during the Fall 2012 planting. Applications are available online or at the PHCA office. Applications must be received by Tree Pittsburgh by 4:00 p.m. on Friday, March 23.